Stopping Alzheimers in its tracks? Judith Leach was recently reading about an exciting new development in the treatment of Alzheimers. As a clinical negligence lawyer, and having previously worked as an intensive care sister caring for patients with acute and chronic brain injuries, I have a particular interest in cases involving neurological damage. I am interested in developments relating to the diagnosis and treatment of all types of neurological conditions. Alzheimers is a condition that has no cure. It is hoped that in the future this debilitating disease will be preventable or at least curable and there have been recent developments in this area. Alzheimer’s is caused by build up of a protein called amyloid in the brain. Research is ongoing into the cause of the build up. One theory is that this is an immune response to certain pathogens (bacteria, virus, other micro-organisms). This build up gradually affects memory and thinking skills resulting in a decline over years. Some people carry a gene that makes them at increased risk of developing Alzheimers. Results from initial trials have provided hope for those suffering with the debilitating condition of Alzheimer’s. The trials involve a new drug called Aducanumab which is an antibody designed to target amyloid, the protein that builds up in the brain. It is intended to target the early stage of the disease process. Unfortunately no drug has yet succeeded in clearing the existing protein and improving outcomes for patients in the final stages. The study published in August 2016 followed a small trial of Aducanumab, tested in patients with early memory problems and mild Alzheimer’s but with high levels of the amyloid protein in their brain on scan. The research has found that Aducanumab reduced the level of amyloid shown on brain scan. This is early days for the treatment of Alzheimer’s and further trials are required. 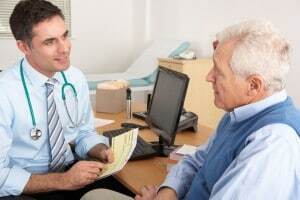 Recruitment into a trial involving greater numbers of participants is underway, recruiting people in the UK aged between 50 and 85 with a confirmed diagnosis. I will be following the continued progress of these drug trials with interest.